According to USA Today, IndyCar's season opener at the Autódromo Internacional Nelson Piquet in Brasília has been canceled. Brazilian reports suggest that the government agency that owns the track itself and was funding the event pulled out at the last minute, leaving IndyCar's March 8 opener without a home. Brazilian TV station and broadcaster for the event Band TV claims that Terracap (translated as "Development Agency of the Federal District") unilaterally cancelled the contract for the race. Poor IndyCar can't seem to catch a break. This government snafu cost them a race in a country that loves motor racing that seemed like a natural fit for a race outside the United States. 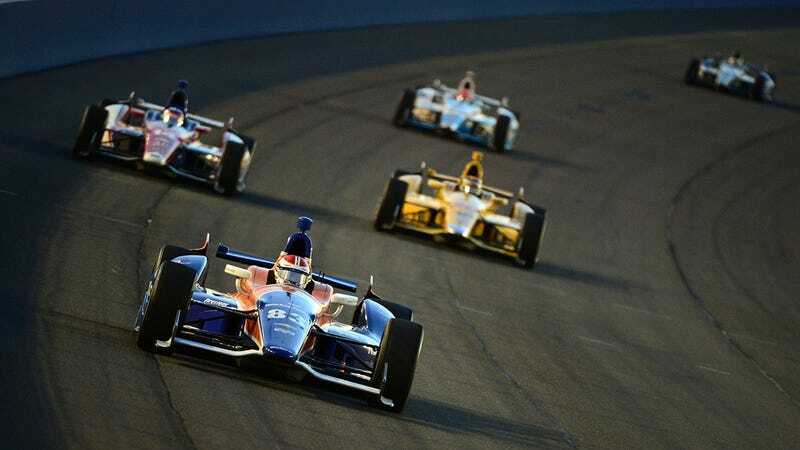 "Ticket sales were terrific, sponsorship was terrific, and all the hospitality (suites) were sold out," said IndyCar CEO Mark Miles to the Indianapolis Star. "It was all set up to be a commercial success." Attendance was expected to be approximately 60,000 fans a day. This marks the second cancellation in recent history of an IndyCar race abroad. A 2012 race date in Qingdao, China, was cancelled for conflicts with a beer festival. That one didn't make a whole lot of sense to me given that race fans love beer, but I guess it's hard to push cheap stadium brew when there's a whole beer festival stealing your thunder. IndyCar lost money on that deal because they were never paid for the Qingdao race, but apparently learned from its mistake. The Brasília race was paid for in advance, according to statements IndyCar CEO Mark Miles made to the Indianapolis Star. Currently, IndyCar is not confirming the cancellation, as they haven't received the paperwork from their partners in Brazil. However, Band TV stated that all tickets sold will be refunded. "This comes as a great disappointment, and we will have further comment when we have had the opportunity to talk with all of our partners and the authorities in Brazil," said an IndyCar statement today. IndyCar's next race on March 29 on the Streets of St. Petersburg is still on the schedule, however. When Florida has its act together more than you, that's a big problem, Brazil.